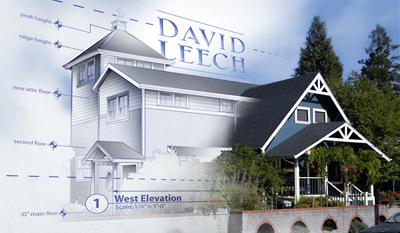 Design & Remodel – David Leech, Inc.
We are Design and Remodel Contractors in Portland, Oregon. Contact us for a free estimate or if you have questions. A Company that Listens: We want to be absolutely sure that we translate your ideas into a design that will fulfill your dream in every way. It’s all about you-YOUR wants and YOUR needs. An Uncompromising Commitment to Meet-and Often Exceed-Your Expectations: We turn what you have into what you want-and we want you to be thrilled with the end result. Strategic, Personalized On-Site Supervision: Your on-site supervisor will remain with your project from start to finish, providing you with daily updates as the job progresses-no unwanted surprises or delays. Minimal Disruption to Your Daily Living: During construction, your comfort is essential. We take a great deal of care in isolating our work areas from your daily routine. Cleanliness is a top priority with us. And because excellent service is at the top of our list, we offer a full 2-year warranty on ALL of our workmanship, usually exceeding the customary manufacturer warranty. Please visit our Testimonial section to see how we’re doing in applying our core principles. If you like what you read, call us and schedule an appointment to begin creating your dream. We’d love to listen! And we gladly accept payment by American Express, Discover, Mastercard, and Visa. 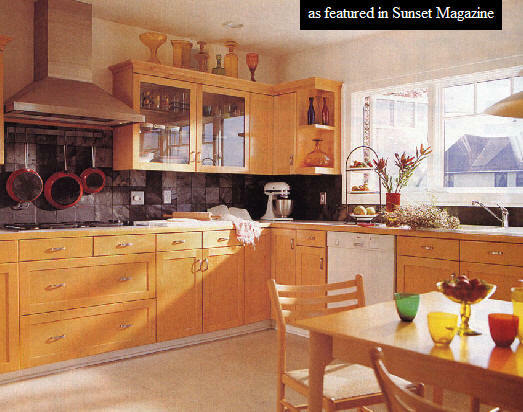 David Leech, Inc.’s professional remodeling work has been featured in Sunset Magazine. “We had an inky-dinky kitchen, and we both like to cook,” recall Cameron and Lee Tyler. They wanted spaciousness and sunlight. They doubled the size of their kitchen/breakfast room and shifted its location. And they opened up a wall to take advantage of expansive views of downtown Portland. The 8- by 16-foot addition extends from the back of the two-story house and opens to a deck on the view side. Large new windows with an upper band of smaller panes brighten the interior and repeat the style of the original windows.